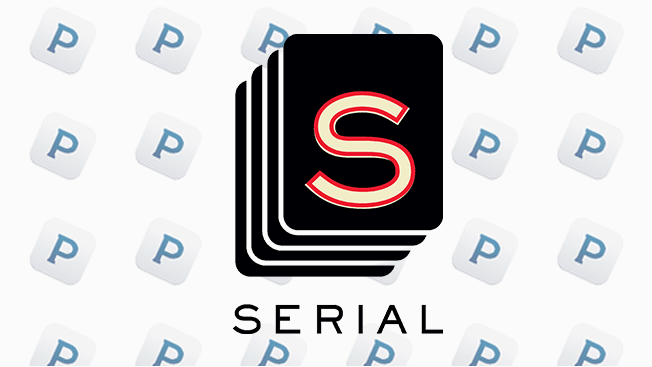 Last year, Pandora scored an exclusive deal to stream WBEZ Chicago's hit podcast Serial with ad support from Esurance and Warner Bros. In December, episodes of Season 2 of the Sarah Koenig-hosted podcast, which followed the case of ex-POW Sgt. Bowe Bergdahl, started dropping weekly on Pandora. At the same time, the music app and website made the first season—which focused on the murder conviction of Adnan Syed—available. In terms of advertising, Warner Bros.' sponsorship ran during Serial's first season and the first half of Season 2. Esurance's ads ran during the second half of Season 2. Each brand's promos controlled 100 percent of the podcast with audio and display ads running throughout the program. While the second season wasn't quite as big a hit as the first season, the podcast still pulled in a sizable audience. Pandora streamed Serial 15.6 million times through its last episode in April, and 11.7 million of those streams were for the second half of Season 2 (Episodes 3-10) and touted Esurance with ads featuring spokesman John Krasinski. All told, 5.7 million listeners spent 3.1 million hours listening to the second half of Season 2. Krasinski voiced two custom audio ads that ran at the beginning and the end of each podcast, and display ads showing the brand's logo appeared during the stream. "Going into this podcast, we really wanted to create that surround sound and take advantage of that contextual relevance, because we believe that it would help to increase our association with the sponsorship as well as the favorability of the brand, instead of writing a generic ad," said Cyndie Beckwith, vp of marketing at Esurance. Esurance and Pandora also ran a study with Millward Brown afterward that measured the impact of the sponsorship. The survey polled 252 people who heard the ad and 1,026 who were not exposed to it and found that the number of people who associated Serial with Esurance tripled as a result of the ads. Lizzie Widhelm, Pandora's svp of ad product sales and strategy, said the goal of adding the show to the Pandora library was to get a wider audience interested in podcasts than the traditional niche audience the medium is known for. In April, Pandora also started streaming episodes of Chicago Public Media's hit This American Life. 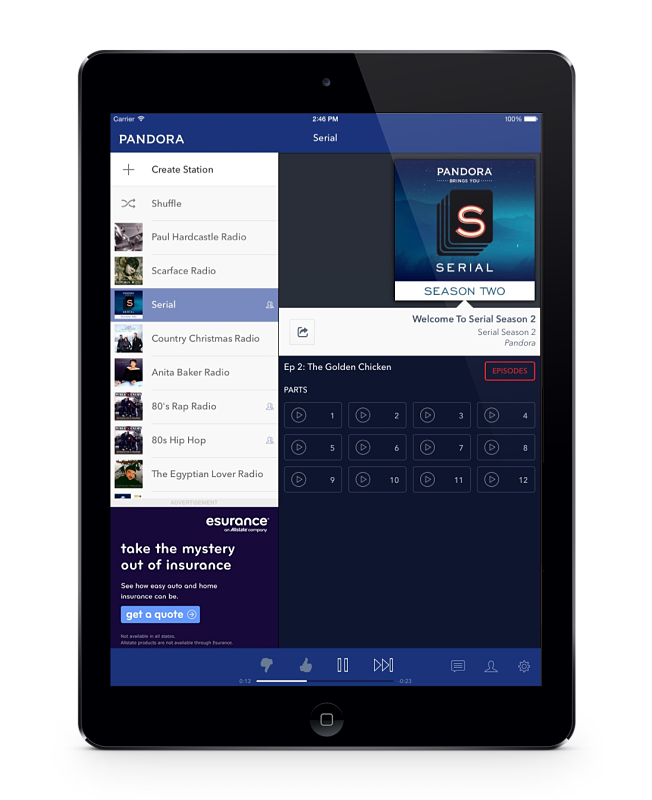 That show will start running ads on Pandora in July. "The hypothesis was that podcasting content can often skew [toward] educated, older and higher income," Widhelm said. "The audience overindexed for college educated and high household income and actually overindexed for in the market for a car."